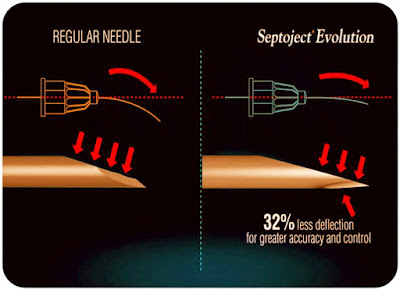 The innovative needle with a patented scalpel-designed bevel. 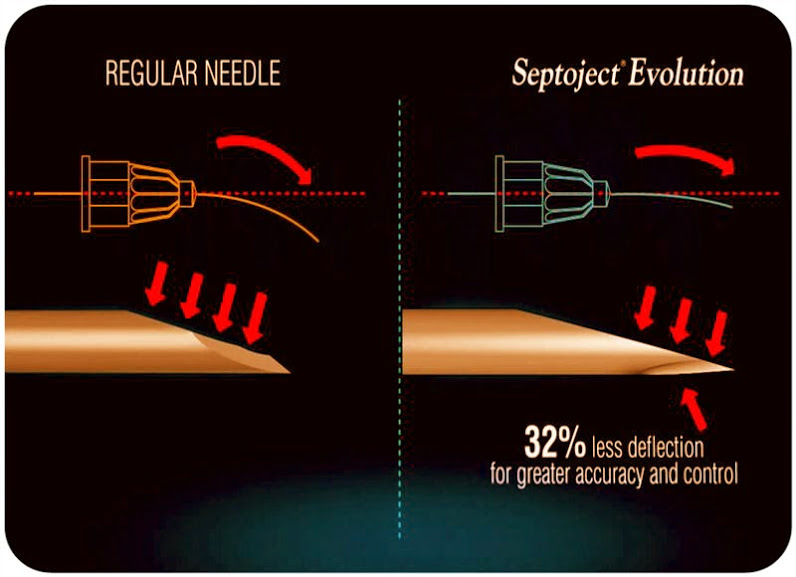 Septoject Evolution is engineered for a smoother penetration with less tissue displacement. This means less discomfort for your patients, even when used for multiple injections. For you, the need for less force, combined with significantly reduced deflection, brings you better control and accuracy.